Polly is often told she is “TOO LITTLE” to do the things she wants to do. But Polly proves what every kid knows…that being little isn’t a limitation, IT’S HER GREATEST STRENGTH. 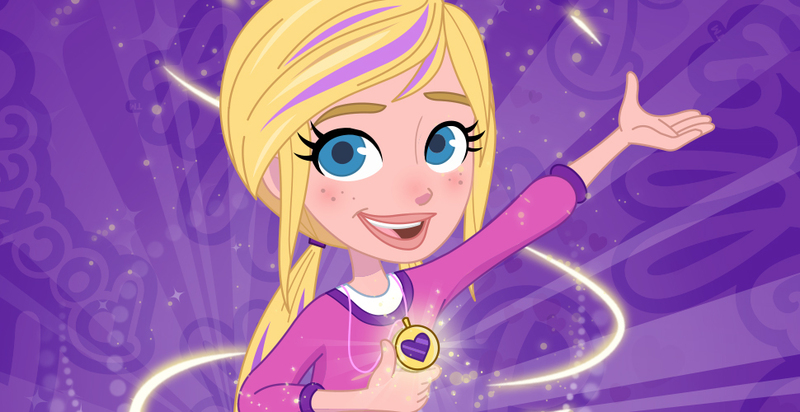 When Polly Pocket inherits a magic locket that allows her to shrink to 4” tall, she embraces her pocket-sized powers and finds the upside of shrinking is BIG ADVENTURES and making a BIG DIFFERENCE for her & her best friends.